Stop for just a minute and think about the last time you got a new toothbrush. If you know that it was at your last dental appointment, less than six months ago, good for you. However, if you cannot remember the last time you replaced your toothbrush, it is time to part with the one you have. The American Dental Association recommends that you replace your toothbrush every three to six months, and for good reason. Your toothbrush was designed to brush away bacteria and plaque that builds up on the teeth throughout each day. 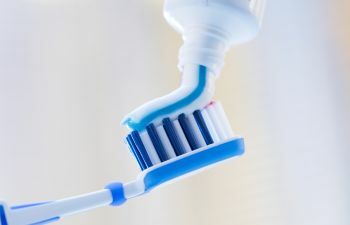 A toothbrush has bristles that reach in between the teeth and into the nooks and crannies of the teeth to clean out the junk that accumulates, and a good deal of that bacteria leaves the mouth via your toothbrush. While rinsing your toothbrush under running water may eliminate some of the bacteria, many still remain to hang out. Give this a thought: up to 10 million bacteria can be found on a single toothbrush. Are you feeling the sudden need to run out and buy a new one? Germs also linger on toothbrushes, making it important to remember to replace your toothbrush following any cold, flu, or strep throat infection. What a shame it would be to feel better, only for reinfection to occur because you used a toothbrush that was full of germs. It is also important to remember that your children’s toothbrushes need to be replaced regularly, too. At Gold Hill Dentistry, we are here to help you maintain a healthy and beautiful mouth inside and outside of our office. If you have ever wondered why you receive a new toothbrush at the end of each dental cleaning, it is because we understand how important it is to use a clean toothbrush for cleaning your teeth. Call our dental practice today to schedule an appointment. We will have your new toothbrush ready for you when you get here!